If you’ve ever had to deal with a winter storm-related power outage at your home in the Framingham, Massachusetts, area, then you’ve likely experienced the negative repercussions of not owning a standby generator. Quite possibly, while your neighbors enjoyed all of life’s normal creature comforts thanks to their backup generator, your family was cooking meals on a grill and sleeping under several layers of blankets to stay warm. If you want to be prepared the next time an outage occurs, let VMA Electric install a backup generator at your home. We’ve been a trusted electrical contractor in the area since 2008, earning an A+ rating with the Better Business Bureau, and we sell and install top-of-the-line Generac generators for any sized home. Whole-house – These generators are natural gas-powered and installed permanently outside your home. When an outage occurs, they turn on within seconds and are able to power your entire household. Portable – A portable generator can provide power for a few select appliances or electrical components in your home and are a great option if you want to have power for a tailgate party or camping trip. Whichever type of generator you choose, VMA Electric can provide regular maintenance to ensure it is ready to perform in your time of need. 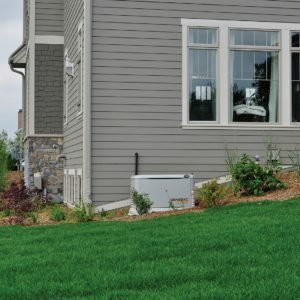 Contact VMA Electric today if you would like additional information about the standby generator installation and maintenance services we offer to homeowners throughout the Framingham, MA, area.